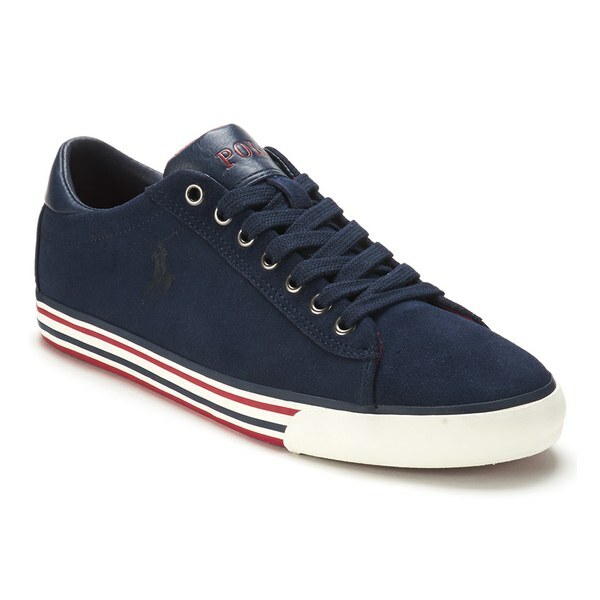 Men’s ‘Harvey’ navy suede trainers with leather trim from Polo Ralph Lauren. 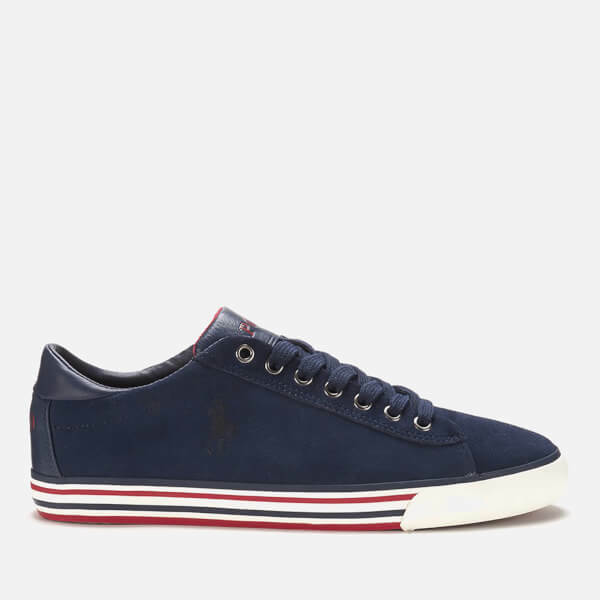 Fastened with flat tonal laces, the trainers feature a white midsole with contrast black and red stripes and an embroidered pony logo to the outside. 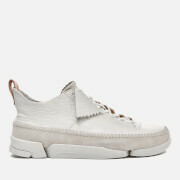 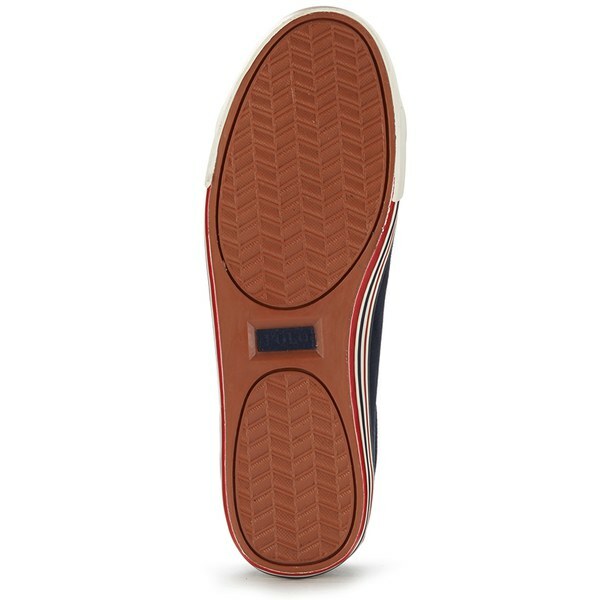 Complete with a cushioned leather ankle cuff, leather tongue with signature Polo branding and a tan outsole with textured tread for superior grip. 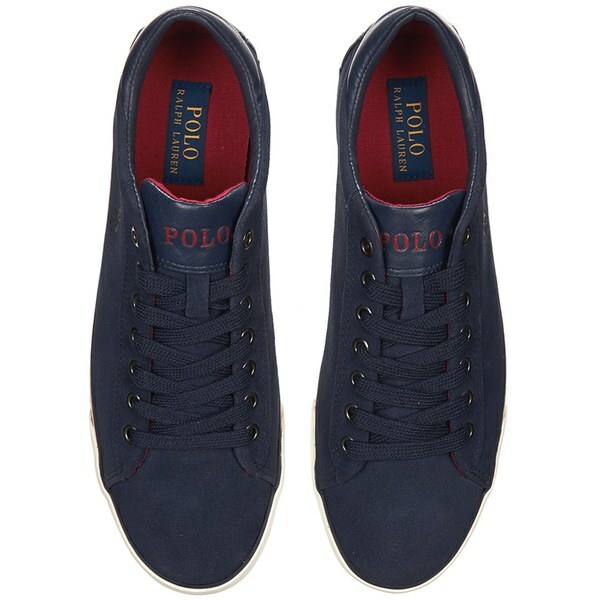 – A.D.
Bought these for my husband as he already has the leather version. 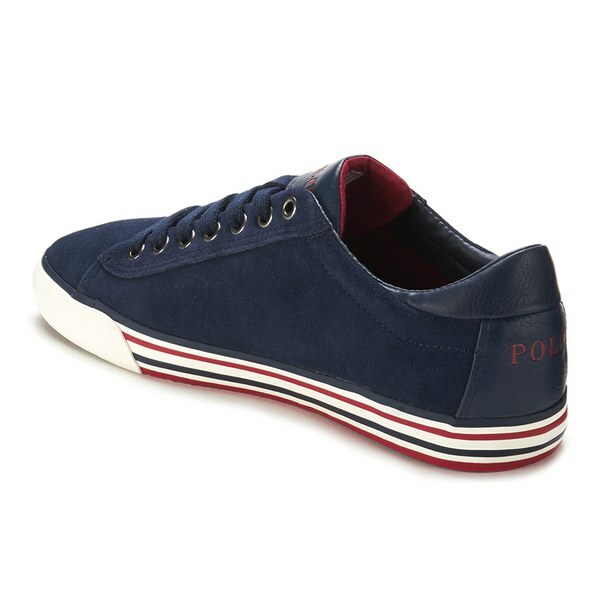 Great quality, smart casual and look great. 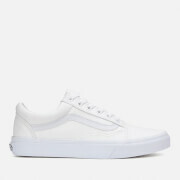 One happy husband!